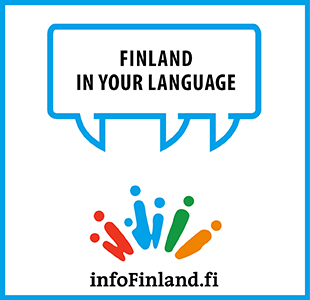 Six of the seven candidates vying for the presidency of Finland took part in a presidential debate organised at the University of Helsinki on Monday, 13 November, 2017. Jussi Niinistö (BR), the Minister of Defence, has come under criticism from several presidential candidates for going on “a solo run” to orchestrate a large-scale military exercise in Finland. “I certainly didn’t know about the preparations for [the exercise], nor did anyone else because no kind of preparations have been made,” President Sauli Niinistö stated during a presidential debate organised at the University of Helsinki on Monday. The Minister of Defence took even the Parliament’s Defence Committee by surprise by announcing that a large-scale military exercise would be organised in Finland in 2020–2021 and could be participated in by the United States. “I can’t help but be puzzled by the entire decision-making system,” Tuula Haatainen (SDP), a member of the Defence Committee, stated to YLE on 7 November. Laura Huhtasaari, the presidential candidate of the Finns Party, estimated yesterday that something has to be wrong when news of a possible large-scale military exercise reaches the president through a newspaper. “There’s no way this is how it should go,” added Pekka Haavisto, the presidential candidate of the Green League. Haavisto also clarified that he is not principally against the idea of hosting a large-scale military exercise but underscored that the message sent abroad by military exercises and readiness in general must be deliberate and thoroughly considered by foreign policy makers. Tuula Haatainen, the presidential candidate of the Social Democratic Party, was similarly concerned by how the apparent confusion about the military exercise will be perceived abroad. “I think this has been embarrassing from an outsider’s viewpoint,” she commented. Nils Torvalds, the presidential candidate of the Swedish People’s Party, went even further by estimating that Jussi Niinistö should consider resigning as the Minister of Defence. A British cabinet member, he pointed out, was recently forced to resign for failing to inform Prime Minister Theresa May about a series of unofficial meetings with Israeli businesspeople and cabinet members. The presidential debate was attended by all but one of the candidates vying for the presidency of Finland. Matti Vanhanen, the candidate of the Centre Party, was unable to attend because he was being treated in a hospital for heart arrhythmia.